Kate Rourke can pinpoint the exact moment everything fell apart. Unable to sleep, she hears an altercation out on the lake. The scream that tears into the black night begins the unraveling. Lies and secrets are exposed in the family and in the town. No one is who he appears to be. Lives are forever changed by the tragic events of this summer night in Vermont. Diane Sheehan Shovak was born and raised in Boston, Massachusetts. She moved to Connecticut in 1970 to pursue graduate study and a career in Speech-Language Pathology. Diane has always loved writing for her own enjoyment and to chronicle family events, especially their summers spent on Lake Saint Catherine in Wells, Vermont. Since retiring, she joined a writing group, the Writers' Circle, and published personal essays, a short story, and a poem in two books published by the Circle: Spilled Ink in 2013 and Here Joseph, You Take the Baby: A Christmas Anthology in 2016. 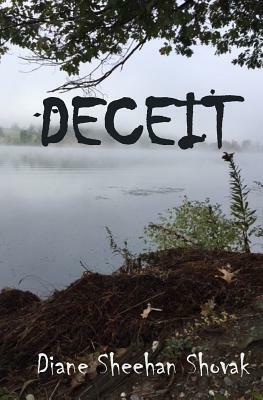 She posts regularly on the blog site ctwriterscircle.wordpress.com Deceit is her first novel. Diane lives with her husband of forty-two years in Wethersfield, Connecticut. They have two grown children and two handsome, remarkable grandsons.